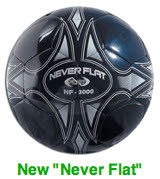 The Spalding Never Flat NF-3000 Soccer Ball is also available in white, red, or yellow. New Villarreal signing Matias Fernandez has been named South American Player of the Year by Uruguayan daily El Pais. Fernandez led Colo Colo to the Chilean Apertura and Clausura titles as well as the Copa Sudamericana 2006 Finals. The 20-year-old received 62 votes from the annual poll of regional sports reporters, edging out Boca Juniors' Rodrigo Palacio by just six votes. Fernandez replaces Carlos Tevez, winner of the last three South American Player of the Year awards. 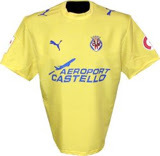 Villarreal unveiled their new signing Matias Fernandez on Thursday. The 20-year-old helped Chilean-side Colo Colo to the Copa Sudamericana Finals by scoring nine goals in the tournament that ended earlier this month. 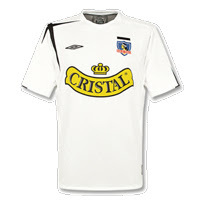 During his time at Colo Colo, the attacking midfielder scored 33 goals in 63 games. He is a free kick specialist, possesses incredible skills on the ball, and was named South American Footballer of the Year for 2006. Fernandez's passing was key in freeing strikers Humberto Suazo and Alexis Sanchez as Colo Colo were Copa Sudamericana runners-up. Last Saturday, in his final match for Colo Colo, Fernandez hoisted the Chilean Clausura trophy as the "Cacique" defeated Audax Italiano 6-2 on aggregate. Villarreal are 11th, 15 points off the pace of leaders Sevilla, but only six points off the last Champions League spot. Amid much speculation, Sky Sports is reporting that Liverpool and England striker Peter Crouch will not be leaving Liverpool. Reds' manager Rafael Benitez also commented on rumours of a David Villa transfer, saying "I can be very clear, we do not want to buy Villa and we do not want to sell Peter Crouch." Chelsea defender John Terry was training in London on Friday after having undergone surgery in France on Thursday. Terry's back problems have kept him out of Chelsea's last three matches. In his absence, the Blues have conceded six goals and dropped two points in a Boxing Day draw with Reading. No official return date has been announced by the club. Weekend / Holiday Matches and Results in the English Premier League. While they rest in Argentina, Spain, and Italy, England never lets up. Saturday has a full schedule and then everyone goes again on Monday or Tuesday. England and Chelsea captain John Terry had successful back surgery on Thursday. In Terry's three-game absence, the Blues have conceded six goals, dropping two points in a Boxing Day draw with Reading. Speculation has Terry returning to action within weeks rather than months. Andriy Shevchenko - Chelsea Striker Not On Jose Mourinho's List of "Untouchables"
Ronaldinho was moved to tears at Wednesday's opening ceremony for his new school for underprivledged children. The Ronaldinho Gaucho Institute will serve 3500 children in Ronaldinho's hometown of Porto Alegre, Brazil when it opens in March. The two-time FIFA World Player of the Year said in his speech, "this is the most emotional moment of my life." Luis Figo is leaving Inter Milan and will join Saudi Arabia's Al Ittihad next week. This past Saturday, Figo's 75th minute free kick became the game winning goal when it went in off Atalanta's Simone Loria. The 2-1 win was first-place Inter's record-tying 11th in a row. Figo has started just eight matches this season and has appeared as a sub in seven others. The legendary winger recently retired from international duty having earned his record 127th cap for Portugal in the World Cup 2006 third-place match. It is speculated that Figo will receive €6 million in the deal. Fernando Gago, Gonzalo Higuain, and Marcelo are all young stars that are off to Europe after impressing in South America. Boca Juniors president Mauricio Macri says of Europe, "there, the players can earn 10 times more." Tim Vickery's column at the BBC explores the dilemma facing South American teams as they search for a balance between making a profit, and remaining competitive. 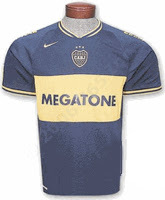 Links to official web site, merchandise, and information for Boca Juniors. After losing out in the Copa Sudamericana Final earlier this month, Colo Colo finally lifted a trophy Saturday night as they won the Chilean Clasura. The "Cacique" defeated Audax Italiano 3-2 in Santiago to make it 6-2 on aggregate. The victory gives Colo Colo its 25th Chilean championship title. The title is their second of 2006, having already won this year's Apertura. Humberto Suazo, who scored two goals on the night, became the all-time single season scorer in Chilean football history with 51 points. Colo Colo's superstar forward was also named top international scorer in the world for 2006 by the International Federation of History and Statistic of Football (IFFHS). Suazo finished the year with 17, one ahead of England's Peter Crouch. Along with the celebrations, the victory will also be bittersweet, as it was Matias Fernandez' last match with Colo Colo. The superstar midfielder leaves for Spain's Villarreal in January. Both Colo Colo and Audax Italiano, along with Cobreloa, will represent Chile in the Copa Libertadores 2007. Spain manager Luis Aragones expects Raul to earn a recall with good form. The controversial coach dropped Raul in September and Spain has stuggled in Euro 2008 qualifying, grabbing only three points from three matches. They are currently 5th in Group F.
Raul is Spain's all-time leading scorer with 44 goals in 102 matches. In an interview with the sports daily Record, Luiz Felipe Scolari has explained why he refused the England coaching job just before this year's World Cup. The Brazil native stated, "Signing a contract with England as it was proposed to me would have been betrayal for Portugal." Scolari rejected the England position after a public announcement from the English FA that it had secured the Portugal manager's services. The FA quickly hired England assistant manager Steve McClaren in an attempt to gloss over the humiliating bungle. Scolari won the 2002 World Cup with Brazil and led Portugal to a 2nd place finish at Euro 2004, and a 4th place finish in Germany, eliminating England in all three tournaments. Chelsea manager Jose Mourinho places his FC Porto days ahead of his current achievements in England. When directly comparing the two, Mourinho stated Chelsea are the better team, but noted, "the one I took more pleasure in building was the one that brought me the first (Portuguese) championship and the UEFA Cup." Mourinho's won the 2003 UEFA Cup and the 2004 Champions League with FC Porto before taking over for Claudio Ranieri at Chelsea for the 2004-2005 season. The two teams meet in the first round of the Champions League knockout stages in February. 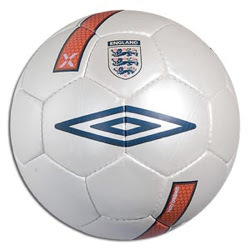 Featured Weekend and Holiday Matches and Results in the English Premier League and Serie A. While they rest in Argentina and Spain, Italy has a full schedule on Saturday, and of course, England is in full gear on Saturday and Tuesday. Real Madrid presented their new signing Gonzalo Higuain on Thursday. The 18-year-old striker scored 8 goals in 18 matches this season, including a brace in the SuperClasico as River Plate defeated Boca Juniors 3-1. Higuain was born in France and recently rejected a call-up to the French national team. It is unclear whether he will play for Argentina or France. Real Madrid is also presenting new singing Fernando Gago on Friday. The 20-year-old midfielder has just been acquired from Boca. Real Madrid will unveil Fernando Gago at the Bernabeu later today. The Real web site made official what had been speculated on for months. The Boca Juniors web site puts the transfer fee at $27 million. Real Madrid presented striker Gonzalo Higuain on Thursday. Jose Mourinho has apologized to Everton's Andrew Johnson for claiming the striker dived to earn a penalty. Replays showed Johnson lunged to avoid Chelsea keeper Hilario, but the controversial striker appeared to make no claim for a penalty. The penalty was awarded anyway prompting Mourinho's accusations. Everton had threatened to take the matter to the FA, but Mourinho's apologies to player, coach, and organization has settled the matter. Chelsea went on to win the match 3-2. The draw for the Copa Libertadores 2007 is taking place today Wednesday 20 December 2006 at approximately 2100 GMT. Didier Drogba again made his case for best-striker-in-the-world status. Subbed on for the final 18 minutes, the Ivory Coast international made the most of his limited playing time by firing a brilliant free kick past Newcastle keeper Shay Given. The 1-0 win books Chelsea's place in the Carling Cup semifinals and gives Drogba 17 goals on the season in all competitions. Boca Juniors named Miguel Angel Russo as their new manager just four days ago and now it appears Ricardo LaVolpe could be Russo's replacement at Velez Sarsfield. LaVolpe resigned as Boca manager after the his team lost its final three matches including the one-game playoff with Estudiantes for the title. Russo managed Velez Sarsfield to a 6th place finish in the 2006 Apertura. In another odd turn, Colo Colo manager Claudio Borghi says he rejected the Boca job earlier this month. The boss of the Copa Sudamericana runners-up was quoted as saying, "I had to travel and leave Colo Colo immediately, abandoning the players..." something he was unwilling to do. Bayern Munich general manager Uli Hoeness has seemingly reversed his previous stance and opened the door for an Owen Hargreaves transfer this summer. Hoeness said of a Hargreaves deal, "If ever we found a replacement for Owen, who cost less than we'd get for him, we might think about it." Manchester United have been in pursuit of the England international since his impressive performance at the World Cup in Germany. Chelsea keeper Petr Cech could return as early as January according to manager Jose Mourinho. Eight days ago it was being reported that the Czech international would start regular training in January, but now, Mourinho is speculating that Cech could be back in the line-up by then. Cech suffered a fractured skull against Reading in October. Internacional returned to Porto Alegre on Tuesday as FIFA Club World Cup champions. Over half-million supporters were expected to greet the team after it arrived from Japan. Internacional defeated Barcelona 1-0 on Sunday to win the eight-day tournament that features the champions from each of the six worldwide football confederations. The deal that would see Fernando Gago go from Boca Juniors to Real Madrid has stalled. While Gago is said to have agreed to personal terms, the two football giants are at odds over the transfer fee. Italy and Real Madrid defender Fabio Cannavaro has been named FIFA's World Player of the Year. The award is decided by national team coaches and captains. The other two finalists were Zinedine Zidane, who has won the award three times, and last year's winner Ronaldinho. World Cup winner Cannavaro was named European Footballer of the Year last month. The draw for the Copa Libertadores 2007 will take place on Wednesday 20 December 2006 at approximately 2100 GMT. Didier Drogba's 35-yard, 87th minute strike over Everton's Tim Howard is not only the goal of Chelsea's season, but perhaps of the entire EPL campaign. Just when it appeared the Blues would fall further behind Manchester United, Andriy Shevchenko headed nicely to Drogba, who chested-down, wheeled, and volleyed the first bounce on a perfect arc into the back of the net. The fantastic strike is goal-of-the-season so far, not only in importance, but in sheer spectacle, as Drogba's measured drive was anything but speculative. The goal, Drogba's 10th of the League, 16th overall, pulls Chelsea to within two points of United who slipped at West Ham 1-0. Featured Midweek Matches and Results in La Liga and Serie A.
Adriano's dramatic 82nd minute strike wins the FIFA Club World Cup for Brazil's Internacional. Barcelona have the better of it for long stretches, but the South American-side make it two in a row over European competition. Sao Paulo defeated Liverpool 1-0 last year. Barcelona were without Samuel Eto'o and Lionel Messi, but Internacional were missing four regulars, due to moves to Europe, from the side that defeated Sao Paulo in August to win the Copa Libertadores. 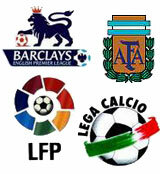 Featured Weekend Matches and Results in the English Premier League, La Liga, Serie A, and Argentina Apertura. Wednesday (Thursday) will see the crowning of two champions while two others will become semifinalists. The Argentina Apertura finally finishes with a one match playoff. The Copa Sudamericana second leg takes place in Santiago, Chile. And the FIFA Club World Cup has one semifinal early Wednesday and another early Thursday. Times shown are Eastern U.S.
Super Wednesday starts at 5am Eastern time and will wrap up 26 hours later. If you are unable to watch Boca v Estudiantes or Colo Colo v Pachuca in your part of the world, you can hopefully take solace in the two EPL midweek fixtures. Soccertv.com has changed this from TyC Sports to Fox Español. BBC is reporting Alan Curbishley will be the new West Ham manager within 48 hours. The fan-favorite will replace Alan Pardew who led the Hammers back to the Premiership and a 9th place finish. Curbishley, who played for West Ham from 1975 to 1979, made no secret of his love for the Hammers, saying, "West Ham are my club. I come from Canning Town, grew up as a trainee, became a first-team regular and sat at the feet of the incomparable Bobby Moore." West Ham are currently facing relegation in 18th place, having lost their last three matches. Chelsea goalkeeper Petr Cech is hoping to return to full training in January. The Czech international fractured his skull in an October match with Reading. Boca Juniors dropped their last two matches to end the Argentina Apertura tied with Estudiantes de La Plata on 44 points. Boca slipped to a 2-1 loss to Lanus on Sunday while Estudiantes completed the dramatic comeback with a 2-0 win over Arsenal. Boca defeated a nine-man Estudiantes 2-0 on 03 September, 2006. The one-game playoff for the title will be on Wednesday. AC Milan owner Silvio Berlusconi made it clear that it was Andriy Shevchenko's decision to leave for Chelsea last summer. Berlusconi said, "If it were up to me, I would take him back straight away." Shevchenko said he has no desire to leave the London club even though he has struggled for form in the Premier League. The Ukraine international stated, "I've never thought once about going back to Milan." The Argentina Apertura will crown a champion Sunday evening. Boca, leading by 3 points, can make it simple with a draw or a win. England: Saturday has the derby of Manchester and Sunday has Mourinho v Wenger. Spain: The top three are in action on Saturday with Sevilla v Real Madrid the highlight. Atletico, now in 4th, plays Sunday. Italy: Saturday has 2 against 4 in Palermo v Livorno. Lazio v Roma should have something in it. 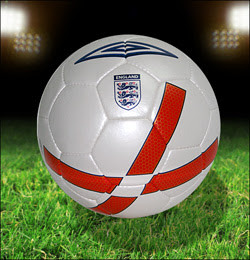 Japan 2006 - The FIFA Club World Cup began Sunday, late Saturday night for areas in the far West. 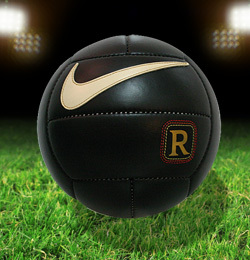 Most match times are 5am US Eastern, 10:00 GMT. Jose Mourinho's position on Andriy Shevchenko is still unclear, after days of back and forth about the Ukraine international's future. The Chelsea manager did however clarified that he makes the line-up at Stamford Bridge, not Roman Abramovich. Naming his "untouchables," Mourinho noted all four midfielders, three defenders - no right back, and one striker. And of course Shevchenko was noted for his "touchable" status. Casual observers of Chelsea would probably be able to recite the list of "untouchables" without much trouble. The Untouchables: Claude Makelele, Michael Essien, Frank Lampard, Michael Ballack, John Terry, Ricardo Carvalho, Ashley Cole, and Didier Drogba. Jurgen Klinsmann and U.S. Soccer apparently could not reach an agreement and the German World Cup winner has reportedly taken his name off the shortlist for U.S. national team manager. The turn of events is somewhat reminiscent of the embarrassment caused by the English FA's premature announcement that Luiz Felipe Scolari had accepted the England job. The U.S. Soccer program seems in disarray following a dismal performance at this past summer's World Cup. The draw for the first knockout stage of the 2006-2007 Champions League will be held Friday 15 December at UEFA in Nyon, Switzerland. The draw will be broadcast live at UEFA.com. The Sun is reporting that Inter Milan will attempt to lure David Beckham away from Real Madrid when he is available for talks in January. The Italian club is said to be offering a deal that would give Becks a desirable 100% of his off-pitch earnings. The former England captain is struggling for playing time at Real Madrid and has been linked with a move to the United States' L.A. Galaxy. The Barcelona UNICEF Jerseys are finally going to be available. Barça, more than a club: a new global hope for vulnerable children. For the first time ever, FC Barcelona will wear the name of an outside organization on their shirt. Through a special alliance with UNICEF, Barcelona will give financial support to projects around the globe. In particular, those which help to protect children where there are humanitarian crises and those where AIDS is on the increase. Below is a link to UEFA Video and Pay-Per-View. There is a note that the service is not available to the Mac OS and that only Windows machines running Internet Explorer 6 are supported. This post is for information and is not an endorsement of this service. When Barcelona kickoff against Werder Bremen today, the Champions League knockout stages will be at stake for both teams. Barcelona's day of reckoning has arrived much earlier than anyone had anticipated, and the holders must win outright to go through. A draw would be enough to see the German-side through. Barcelona's bitter Champions League rivals, Chelsea are already through from Group A.
Manchester United, Arsenal, and Roma will all be playing to stay in the CL as well. Arsene Wenger and Thierry Henry both contend that they are no longer at odds, and that reports of a bust-up are much ado about nothing. Henry allegedly stormed out of training on Friday after being told he would not play in Saturday's north London derby versus Tottenham due to injury. The French international claimed he was only frustrated "because [he] cannot help out [his] team on the pitch." Wenger stated, "there is no problem between us," even though Henry spoke out of turn earlier this week claiming Arsenal would surely be interested in new signings in the January transfer window. Wenger has been very clear that Arsenal will do or die with the current squad of players. Jurgen Klinsmann will be named manager of the U.S. national team in the next few weeks according to a report at FoxSoccer.com. Speculation that Klinsmann would take over the struggling U.S. program has been rife since he stepped down from his position as manager of the German national team. Klinsmann led the unfancied Germans to the World Cup Semifinals, where they lost in extra time to eventual champions Italy. As a player, Klinsmann featured for West Germany as they won the World Cup at Italia '90. Barcelona must win or they are out. Roma need to win to guarantee a spot. Manchester United need a draw or better against Benfica. And an Arsenal v Porto draw would send them both through, but a win could send the loser to the UEFA Cup. Shevchenko scores in the 27th and Shaun Wright-Phillips finally opens his account with Chelsea as the English champions finish top the group. Ronaldinho rises to the occasion, earning a free kick and subsequently firing under the jumping wall to grab the early lead. The Brazilian superstar later springs Ludovic Giuly who fires across the box to Eidur Gudjohnsen for the easy tap-in. The Icelandic international was errantly ruled to be passively offside during Ronaldinho's pass to Giuly. Later, the hosts should get another as Gudjohnsen hits the post on an absolutely wonderful weave through the defense. Giuly, stunningly, misfires the carom with the goal at his mercy. Barcelona avoid become the first holders to go out in the group stages. Roy Makaay's goal in the 62nd is equalized by a Patrick Viera strike in extra time. The draw sees Bayern through as group winners, with Inter runners-up. Spartak Moscow are through to the UEFA cup. Fowler scores twice as the Reds rest their regulars having already won the group. The hosts finish bottom. Bordeaux make the UEFA Cup as PSV were already through as runners-up. Christian Panucci scores the winner early, as Roma leave nothing to chance and make it through with a win against group winners Valencia. Shakhtar claim the UEFA Cup spot. Lyon were already through and finish top the group. Ronaldo gets two late goals as Madrid, who were already through, finish runners-up in Group E.
Marcos Nelson fires a lovely strike that puts Benfica up first. But United's scare doesn't last long as Ryan Giggs sends in a brilliant free kick that is headed home by Nemanja Vidic. Giggs then finishes off the Portuguese-side for good as he heads home Man U's second. Louis Saha's adds one more in the 74th as United win the group. Celtic were already through, but take an unexpected thrashing from the Danish-side. Atiba Hutchinson, Jesper Gronkjaer, and Marcus Allback score for the home side. Jiri Jarosik pulls one back for Celtic in the 75th. CSKA need a win and a winner from Porto v Arsenal. They get neither and are off to the UEFA Cup. Porto hits the post twice while the match is still being contested, but things eventually grind to a halt, as a draw will see both teams through. The final 10 minutes are painful to watch as the two clubs are jeered by fans as neither team attempts to go forward. In the one minute of extra time, Porto stand on the ball as supporters give-in and begin cheering their team's progression to the knockout stage. Lille are through as AEK Athens draw. Milan win the group and were already through before today's match. Athens need to match Lille's result, but only manage a draw. The Greek-side goes to the UEFA Cup. Newcastle's Michael Owen believes he can return this season if all goes well with a January scan. The 26-year-old England international ruptured a cruciate ligament at this year's World Cup in Germany. The BBC are reporting Liverpool FC are close to a £450m takeover by The Dubai International Capital group. Liverpool and England midfielder Steven Gerrard's shoes. Qualified teams by country for the Copa Libertadores 2007. Freddy Adu's Manchester United trial has ended with Sir Alex Ferguson saying the club will have to wait until June to decide what happens next. Under UK law, Adu must be 18 years-old before United can make an offer for him. The Ghanain-born attacking midfielder was the youngest ever USA international. The big match is in the Argentina Apertura where Boca can wrap it up on Sunday. Tough to beat the handing-out of a trophy, but Arsenal are in dire need of a win on Saturday v Tottenham. A soft penalty and a Darren Fletcher header, from a lovely Ryan Giggs cross, puts United six points clear at the top as Chelsea have the weekend off. Two controversial penalty's and an Emmanuel Adebayor goal see the Gunners climb all the way to third. Two Bellamy goals, a Kuyt goal, and an own goal, conspire to make for a horrible first half for Wigan. The Reds however, move all the way up to 5th, level on points with 3rd place Arsenal and 4th place Portsmouth. In the 76th, Alvaro Maior equalizes a 41st minute Deco goal. Barcelona still on top of La Liga going into Sunday with Sevilla just two points back. The Spanish champions perhaps taking it easy before Tuesday's all-important Champions League clash with Werder Bremen. Nicolas Burdisso scores in the 11th and Hernan Crespo knocks in a wonderful goal in the 54th as Inter have now won a club-record 11 in-a-row in all competitions. The first-place Nerazzurri are now four points clear of Roma. Two Francesco Totti penalties erase an early Atalanta lead. Roma remain only four points back of unbeaten Inter. The Toffees up to 7th, one point back of Arsenal, Portsmouth, Liverpool, and Reading. Tevez has another fine performance, but West Ham are just one point above the relegation zone. A Fredi Kanoute penalty in the 25th doesn't hold up. Espanyol equalize on a stunning move from Raul Tamudo as he backheels to himself and fires a brilliant near-post strike. Luis Garcia taps-in the winner that drops Sevilla to third, two points back of Barca. Bilbao go up in the 34th on a 30-yard free kick from Roberto Tiko. Ronaldo comes on for the second half, receives a perfect 40-yard pass at the top of the area, takes a lovely first touch, and tucks under the keeper to make it 1-1. Roberto Carlos gets the winner with a spectacular 30-yard low-drive just inside the post. Madrid are now in second only one point back of Barcelona. Palermo fall to 3rd, four points back of Roma and eight points back of leaders Inter. Alberto Gilardino puts Milan up in the 48th, but a soft penalty and then a nice looping header from Andrea Capone put the hosts up 2-1. Milan level through a Marco Borriello bicycle-kick from point-blank range in the 70th. 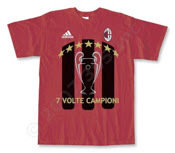 The Rossoneri are now on 12, eight back of 4th place Liverno. Boca dominates, but is unable to finish as they will now have to wait until Sunday to win the Apertura. The visitors pour everyone forward after Peppino's 60th minute strike, but to no avail. Estudiantes stumble as well with a draw, but the result still cuts Boca's lead to three with one round remaining. Boca are +25 goal difference. Estudiantes are +21. The Apertura appears over until the 79th when Pavone draws Estudiantes level at 1-1. An 89th minute goal from Juan Sebastian Veron puts Estudiantes up 2-1 and just seconds from being only one point back of Boca. But an extra time leveler from Choy makes it 2-2 and leaves Estudiantes three points back of Boca going into the final week. Farias' early goal is cancelled out by goals from Chicago's Federico Higuain and Jorge Martinez. River were out of the running to win the Apertura going into the day, and now have solidified a 3rd place finish. Carlos Tevez wants to stay at West Ham. Speculation that he is unhappy at the club, fueled by the recent Eggert Magnusson takeover, was rebuffed by the Argentine striker. Speaking of the new owner, Tevez stated, "...I'd prefer that he and manager Alan Pardew wanted to keep me." Former Celtic striker Henrik Larsson will be signed on loan to Manchester United from Swedish club Helsingborg. The 35-year-old Larsson was involved in both goals for Barcelona in their 2-1 Champions League Final victory over Arsenal. Injuries have left Sir Alex Ferguson low on strikers, fueling speculation on United's January transfer targets.